The 2018 Chevrolet Equinox LT is a great choice for anyone who wants a comfortable SUV that’s not too big and not too small. 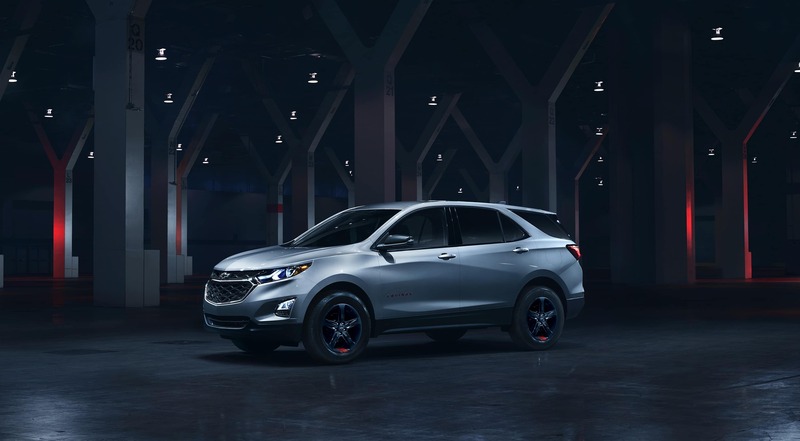 Come to Libertyville Chevrolet today and take a closer look at the Equinox line. Our dealership serving Fox Lake IL has a wide selection of vehicles in stock and listed on our Web site. The 2018 Chevrolet Equinox LT near Fox Lake IL offers a variety of modern equipment as standard features. along with great options and packages. The side mirrors and heated and power adjustable. The provision for rooftop luggage adds greatly to this SUV’s carrying capacity. Standard HID (high intensity discharge) headlights offer great visibility at night and in really bad weather. The standard aluminum wheels and blackwall tires add a sporty touch to the exterior. The rear window is tinted and has a standard defroster. You can make loading and unloading easier with the optional power tailgate. Buyers can customize their vehicles with splash guards and chrome luggage rails, among other things. A power sunroof is also available. If you are looking for a great crossover at a dealership serving Fox Lake IL we have a great selection of vehicles to see. Come see the 2018 Chevrolet Equinox LT near Fox Lake IL and review the exterior and interior options in person. The 2018 Chevrolet Equinox LT boasts a comfortable interior packed with modern technology. 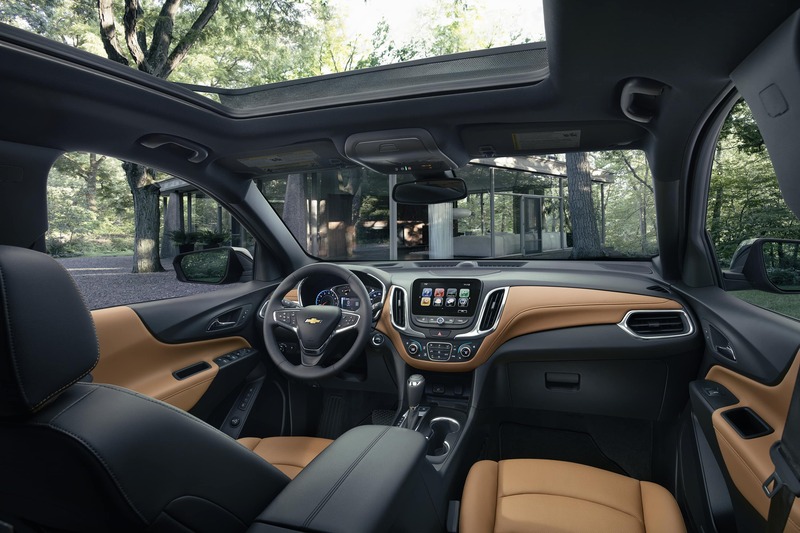 Take a closer look at the interior features and options at Libertyville Chevrolet. A power front driver seat and available heated steering wheel make for a more-comfortable driving experience. The windshield glass is a noise-reducing material that cuts down on road and wind noise to make the interior a little more comfortable. Split folding rear seats make it easier to carry large items. The Chevy MyLink infotainment system with a 7″ screen is standard. MyLink includes an AM/FM stereo, Bluetooth, voice activated phone and radio,plus compatibility with Apple and Android phones. Sirius XM radio and a free trial subscription to OnStar guidance are also included. As the driver you will really like the available rear cross traffic alert. Power windows are standard. 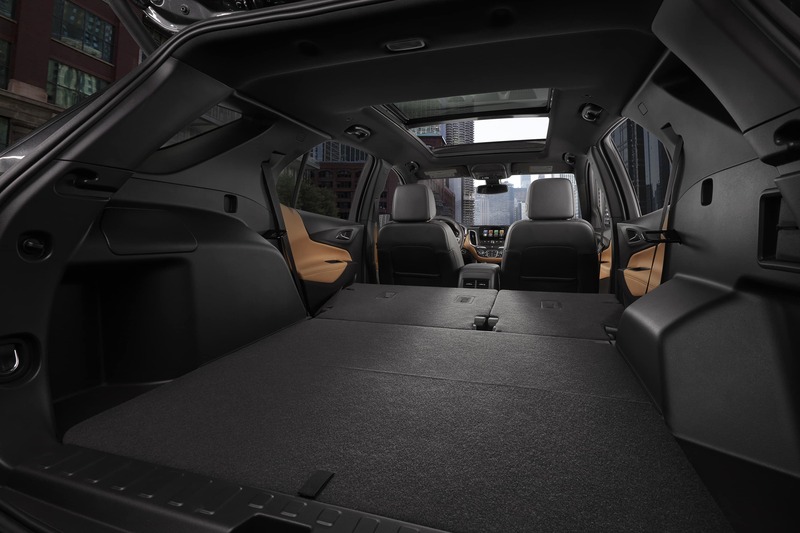 Of course the Chevy Equinox line offers a number of interior and exterior options for comfort and convenience. For example, you can add dual USB ports, a cargo net, and dual-zone air conditioning. Our dealership serving Fox Lake IL has vehicles with a range of exterior and interior options already included. 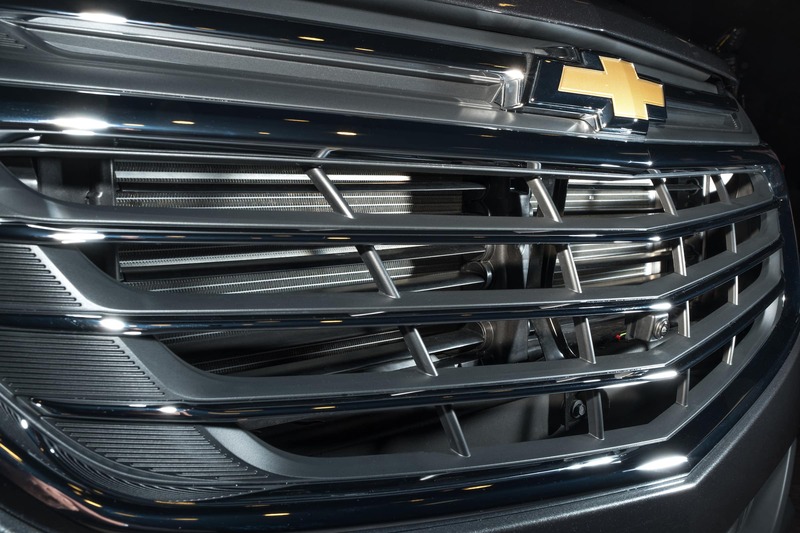 The Chevy Equinox comes with a choice of mechanical features. You can choose from 4WD and FWD drive-train options. Both drive-train options boast McPherson strut front suspension and 4-link rear suspension. Four-wheel anti-lock braking is standard. An electronic parking brake that automatically engages id the vehicle is on an incline, is also standard. StabiliTrak is standard. This feature helps the driver maintain control in low traction driving conditions. The independent suspension, anti-lock brakes, and sturdy steel frame work with a reliable and efficient engine. These parts and the standard automatic transmission come together to create a reliable crossover. 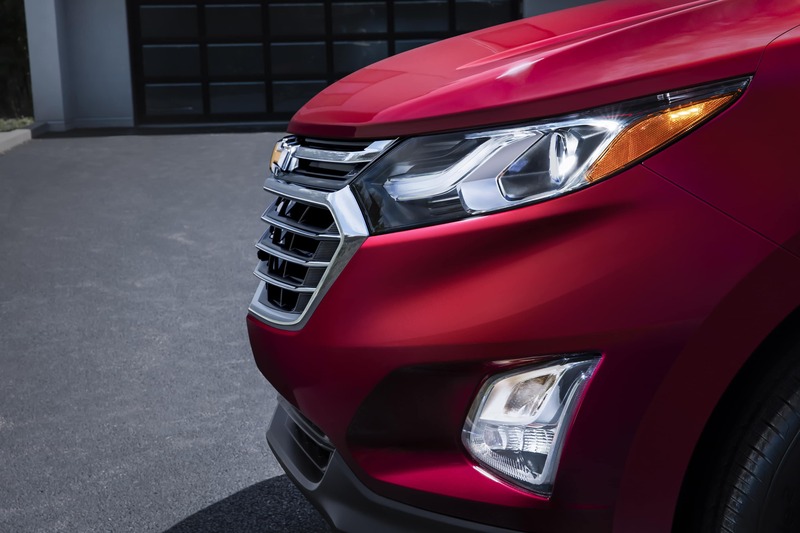 The Chevrolet Equinox is powered by a 1.5L turbocharged 4-cylinder engine producing 170 horsepower and 203 lb-ft of torque. That engine connects to a 6-speed automatic transmission delivering power to the front wheels or to all four wheels. That automatic transmission is electronically controlled and comes with overdrive for better efficiency. The 2018 Chevrolet Equinox LT near Fox Lake IL has a reliable engine and transmission. There are also plenty of great safety features that make the Equinox a great SUV option. You get an efficient and responsive drive-train that provides plenty of power for merging and passing, and reliability over the long term. Safety is a priority at Chevrolet, and the Chevy Equinox backs that up by offering many standard or optional safety features. Multiple air bags are standard. Electronic stability control and traction control are standard features that make the Equinox easier to control at high speed and on wet pavement. A remote panic alarm adds a measure of driver security as well. Keyless opening is standard. Buyers with children will definitely appreciate the childproof door locks for the rear seats. Parents will also like the Teen Driver function that allows parents to LED running lights are standard items that add to daytime visibility. 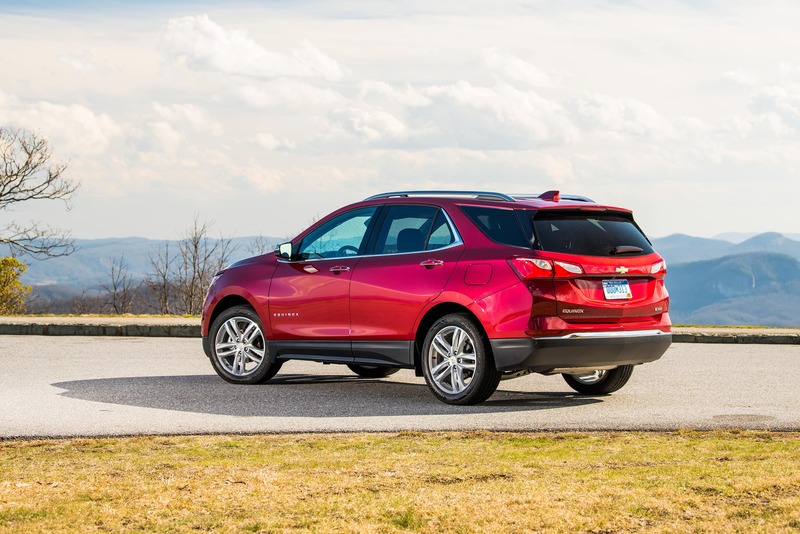 You can also choose from a few safety and security options for your 2018 Chevrolet Equinox LT.
At Libertyville Chevrolet we have a selection of Equinox LTs in stock at all times. The Equinox combines comfort, carrying capacity, and economical performance in s crossover package that is not too big and not too small. We invite you to search our inventory online. Or, you can visit our dealership and talk to one of our courteous salespeople before taking a test drive. 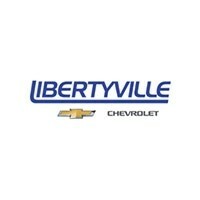 We also offer many other Chevrolet vehicles.